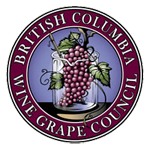 Join the wine and grape community in Penticton this summer and attend this long-standing two-day industry focussed event hosted by the BC Wine Grape Council. The 2019 conference theme is Sustainable Winegrowing! and will feature local and international speakers presenting on this topic. The tradeshow will include over 100 exhibitor booths including new technologies, equipment, plant material and services available to wineries and growers.